This card is made as a thank-you-card for my friend that help me download new and exciting episode of my favorite series. 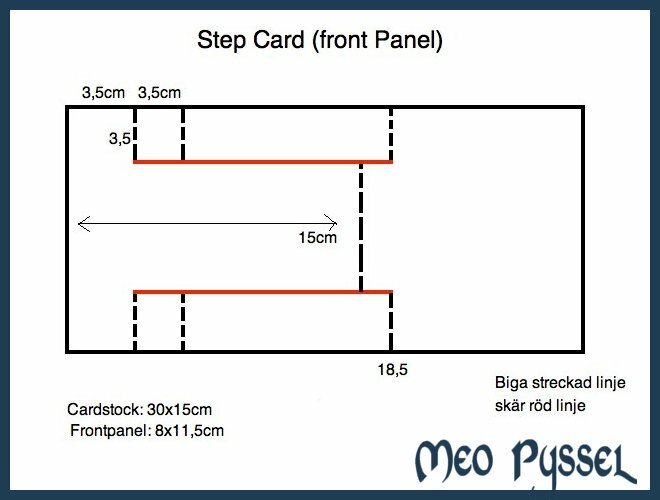 The Card is a stepcard with a one center front panel. 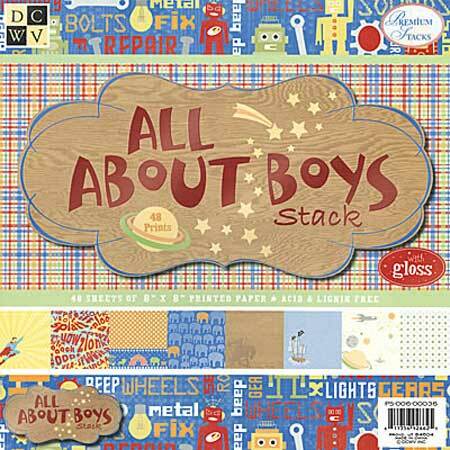 I started out with making a lots of filmstrips with my Tim Holtz Filmstrip Frames and then i picked some papers from DCWV’s All About Boys stack that i used as stills from different films. After putting them together i realised that the colors were very diffrent and that it would be very hard to make a nice colored cardfront to it so i choose to make the rest in black and white with a hint of red to coordinate with the superman cape and the robot. I did google a lot to get the measurements right on the card but i wasn’t happy with any of the descriptions so I made my own. 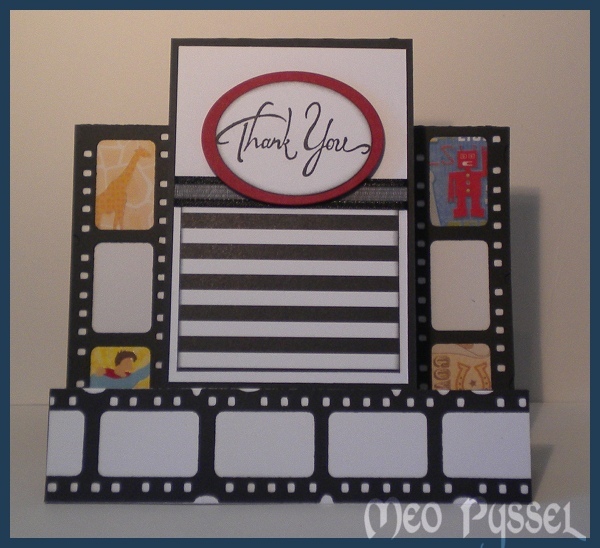 I wanted the folded card to be a 15x15cm card so i fitted the rest to that measurement. You can change all the measurements but the tip is to make the first folds at the sides the same width so that the card can stand steady. Click the image to see a bigger picture or to copy it. Hope you enjoyed this one.